Location: From the intersection of Hwy 45 and County Hwy G, continue west on County Hwy G approximately 7 miles to Mud Minnow Lake Road (south side of the highway). Watch for sign. This segment of the Vilas County Forest Trail System winds through a variety of timber types including oak, pine, and aspen/birch. 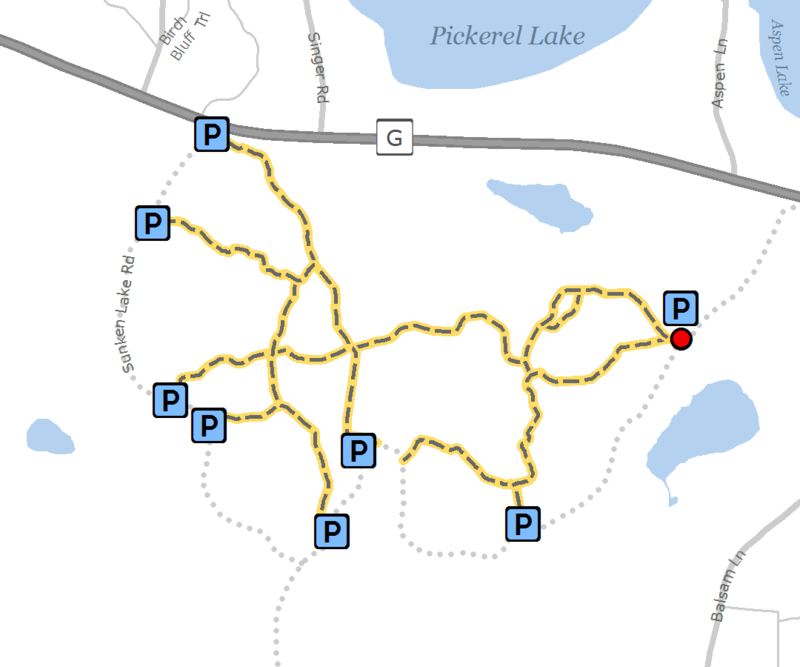 Although the trails may be enjoyed through the winter season, the Sunken Lake Road and Mud Minnow Lake Road are not plowed. Mud Minnow Lake Road serves as a segment of the Vilas County Snowmobile Trail System.